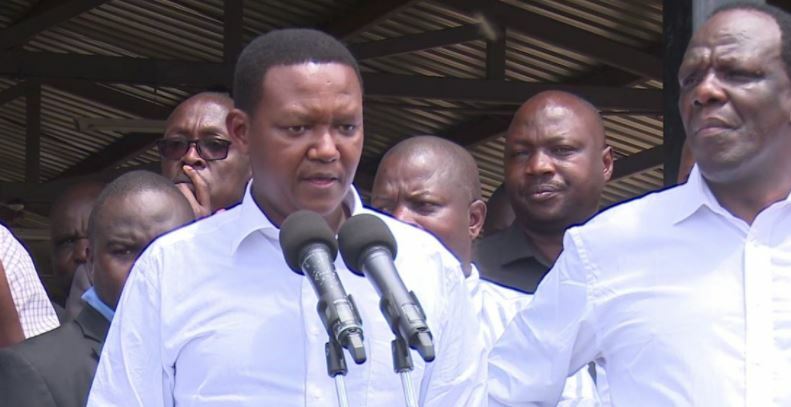 Machakos County Governor Alfred Mutua has called for the reintroduction of Prime Minister and Deputy Prime Minister reintroduced. The Governor further said presidential candidates should also be allowed to vie for other seats as a fallback plan should they fail to clinch the top seat. “Kenyan politics is do-or-die, because when a leader fails to clinch a seat they become irrelevant. Let us expand our constitution, let us create more positions like Prime Minister, Deputy Prime Minister and many others to accommodate various leaders so that it does not become do or die, ” said Mutua. “We therefore want that one can run for presidency and Senator at the same time so that if you miss one you continue with the other,” said Mutua, who was flanked by his Kakamega counterpart Wycliffe Oparanya. The County boss further urged leaders not to cling to power but instead pave way for a new crop of leaders.